This coming Thursday, video artists Matteo Gatti and Demetrio Giacomelli of the Aves Project collective will speak about their new work which they made during their residency in Het Wilde Weten. Aves Project is current artist in Residence at Het Wilde Weten (Sept – Oct), the residency is awarded to Aves Project as winner of the Tent Academy Awards 2015. The Italian collective Aves Project (Demetrio Giacomelli, Matteo Gatti, and Matteo Signorelli) won with their graduation work KM.IV/18 the Best Foreign Film Award of the TENT Academy Awards 2015. 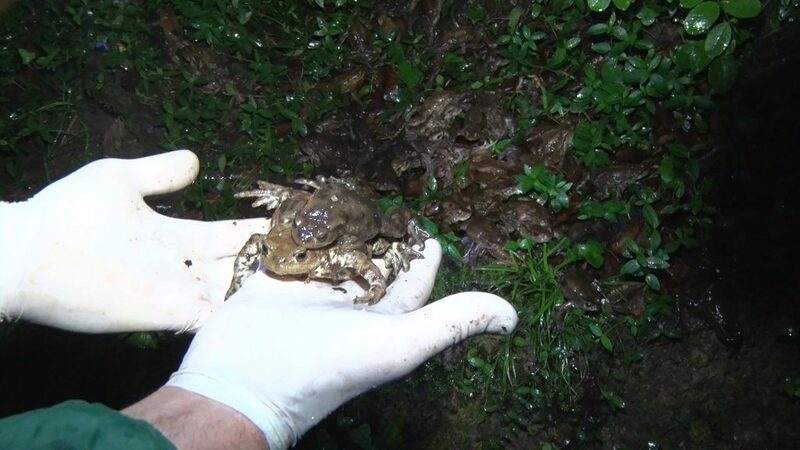 The film shows a group of volunteers participating in the reproduction of toads at Lake Como in Italy. KM.IV/18 addresses a current topic in the discussion about the Anthropocene: the era in which the effects of human activity on earth become visible. The jury praises the extraordinary use of light-dark effects, which allows forms to dissolve into the shadows and then emerge back into reality. ‘We are impressed with the Aves Project’s documentary approach, which combines high image quality with a cinematic perspective.’ Demetrio Giacomelli, Matteo Gatti, and Matteo Signorelli graduated from the Accademia di Belle Arti di Brera in Milano.